The Preliminary Scholastic Aptitude Test (PSAT) is a standardized test that gives students early access to college and career planning tools and provides practice for the SAT. 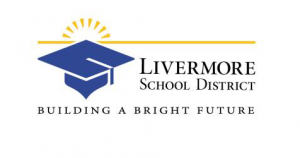 Our initiative, in partnership with the Livermore Valley Joint Unified School District, allows all sophomores within the district to take the test free of charge during the school day. By taking the test as sophomores, students can begin planning and preparing early for life after high school. This test provides feedback, to both students and staff, on academic strengths and weaknesses as well as identifying opportunities for students to participate in honors and advanced placement (AP) courses, especially students who traditionally would not opt to enroll in those courses. The PSAT Initiative has contributed to an increase number of underrepresented students enrolling in advanced classes. 976 10th Graders took PSAT in 2015. Prior to 2013, most economically disadvantaged students and many students whose parents did not attend college did not take the PSAT. Now ALL students have access to the College Board’s extensive college and career planning tools simply by taking the PSAT. Over last 5 years: 203% increase in Hispanic students and 170% increase in African American students taking the PSAT. Increased SAT scores – LVJUSD students who took the PSAT prior to taking the SAT in 2014 scored 24% higher on the SAT than those who took the SAT without taking the PSAT. Contributed to an increase in number of LVJUSD students enrolling in AP classes – 25% increase in test AP Exam takers from 2011 to 2015, 84% increase in Hispanic students taking AP Exams.